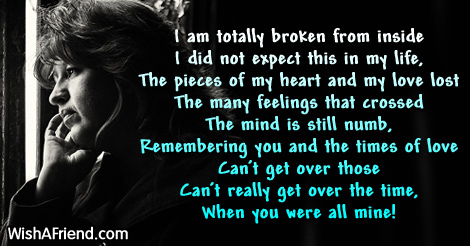 Read poems about breakup and share with your closest friends via Facebook, WhatsApp, text or email. Don't you see the effect you seem to have on me? I find myself dreaming about you all the time, I can't even sleep. I wish so hard that I could stop you and make you mine! 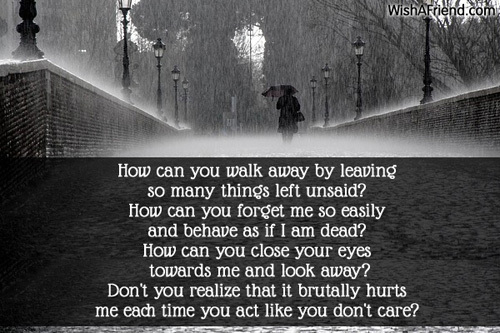 How can you walk away by leaving so many things left unsaid? How can you forget me so easily and behave as if I am dead? How can you close your eyes towards me and look away? 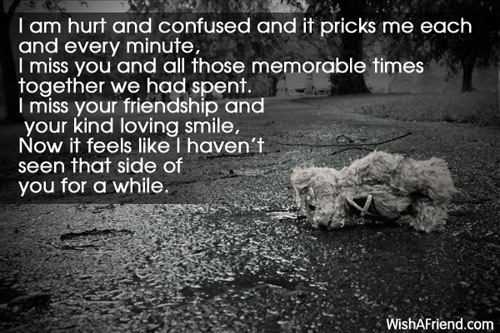 Don't you realize that it brutally hurts me each time you act like you don't care? 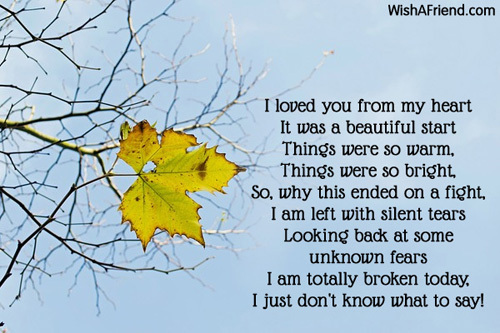 I miss you and all those memorable times together we had spent. Now it feels like I haven't seen that side of you for a while. And yes I mean it! I just don't know what to say! 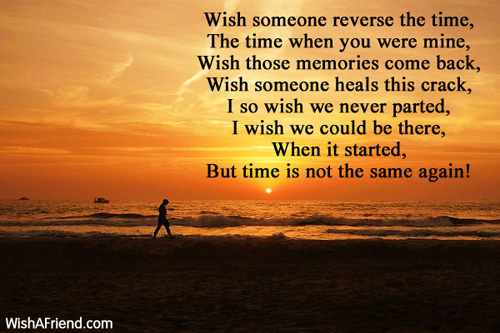 But time is not the same again! 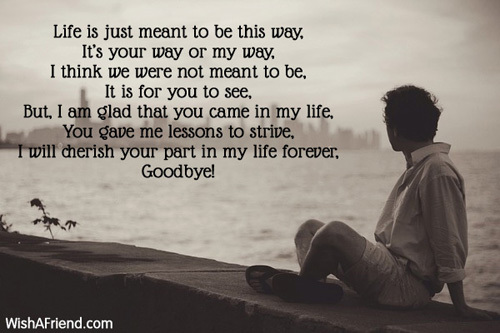 I have lost you in my life! A final goodbye from my side! It's good to accept it all the way! 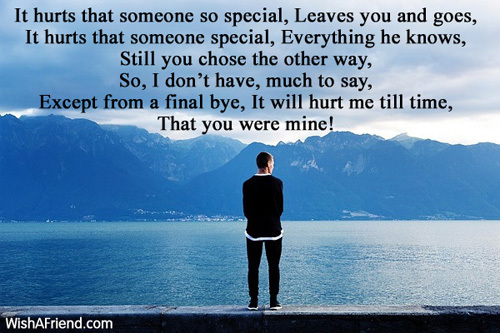 When you were all mine! Do you remember that first kiss? 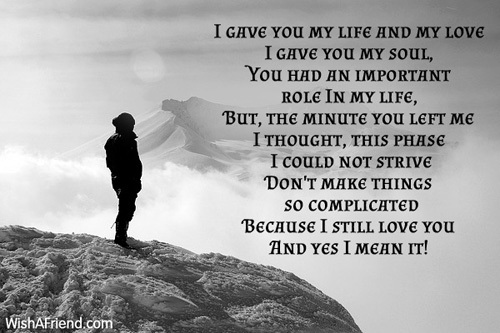 That I had shared with you! 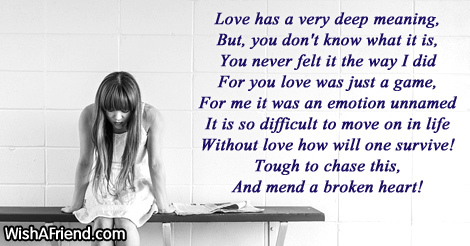 The feelings of love left! Is all that I have now! Without love how will one survive! And mend a broken heart! 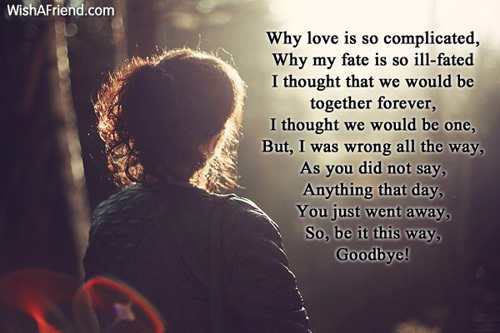 This is a goodbye from my side!